Lauren joined Royal Oak Stables in 2017. She has been riding horses for as long as she can remember. Most of Lauren’s life has been spent in the Hunter/Jumper world, dabbling in all three rings, including time spent on the “A” Circuit while working for a Grand Prix jumper. Lauren started building her career and furthering her education at the early age of 13 when she earned her first working student position. One of the best ways to learn is by watching the experts, so she spent her teenage years as a working student for several different trainers. Looking to add diversity to her riding skills, she worked under two Grand Prix dressage trainers and even spent time with an accomplished AQHA trainer learning the art of Western Pleasure. 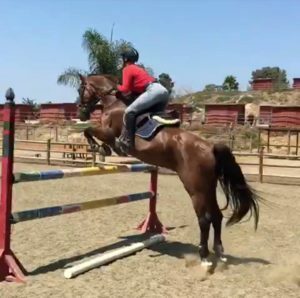 Lauren has a fun teaching style with an emphasis on the fundamentals of riding and the connection between horse and rider. She is overjoyed to be pursuing her dreams with Royal Oak.